Site: Needs a sunny area with excellent drainage. 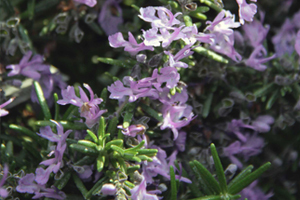 On limy soil, rosemary is a smaller but more fragrant plant. To provide additional lime, apply eggshells or potash. Must be protected from cold winds and winter temperature. Give plants frequent water (every 3 to 5 days) during the first growing season, and then decrease irrigation frequency once the root system has established. 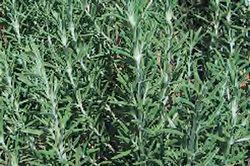 Once established, irrigate when they begin to show any signs of wilting. Excessively irrigated plants become very woody. 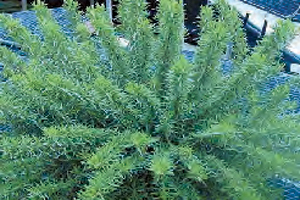 Growing: To plant outdoors, leave 2 to 3 feet between plants. Container grown indoor plants must have a sunny position. 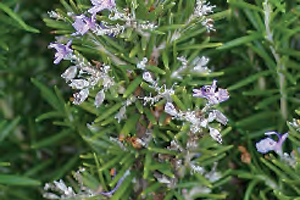 Rosemary is available in the prostrate growth form (1 to 2 feet in height) or the upright growth form (3 to 6 feet in height). 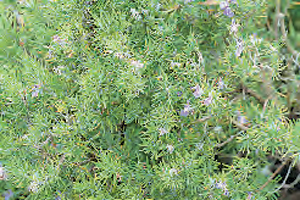 The upright varieties make a good, informal evergreen hedge. 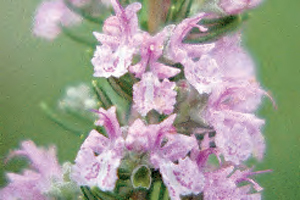 If pruning is required, upright plants should be selectively pruned rather than sheared. 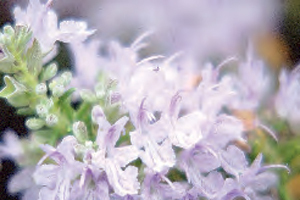 Prostrate forms look best in cascading over masonry or rock walls or in rock gardens where the individual branches create interesting edge patterns. These can also be shaped easily by selective pruning. 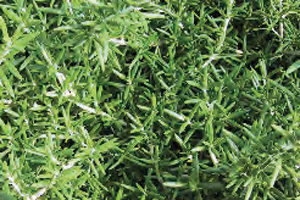 Harvesting: Clip leaves or sprigs anytime you need them all year round but gather main leaf harvest before flowering. 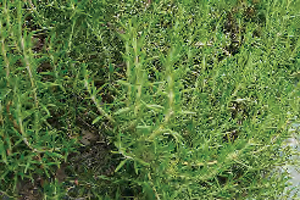 Culinary Uses: Add very sparingly (rosemary can be overpowering) to a wide range of meat and poultry dishes, especially lamb, pork and chicken. 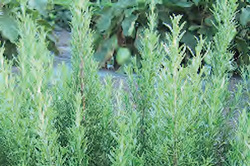 Rosemary is also good for flavoring baked potatoes.